Take a peek into Priscilla’s world!!! I recently had the pleasure of spending the day with the fabulous photographer and animator Ginny Koppenhol as she photographed me and my studio. This spring I have been collaborating once again with Ginny making a new stop animated film featuring my work. Watch this space for more details as we will be launching ‘ A Little Something Remembered’ next month. We have been working together on a number of projects over the last 18 months and Ginny has visited my studio several times. It was on her most recent visit that Ginny suggested we record my working environment giving a an insight into the making processes used in my work. 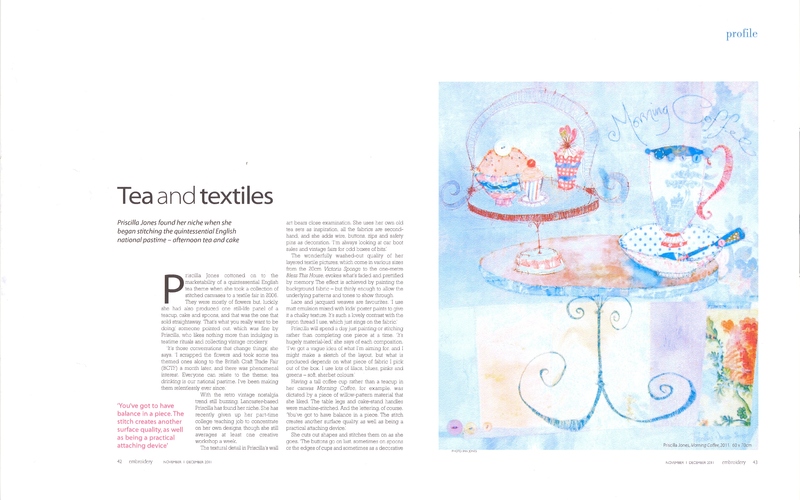 See my new ‘Time for Tea’ feature in the autumn issue of US Magazine Somerset Apprentice!!! So pleased to be featuring again in this autumns Somerset Apprentice Magazine!!! 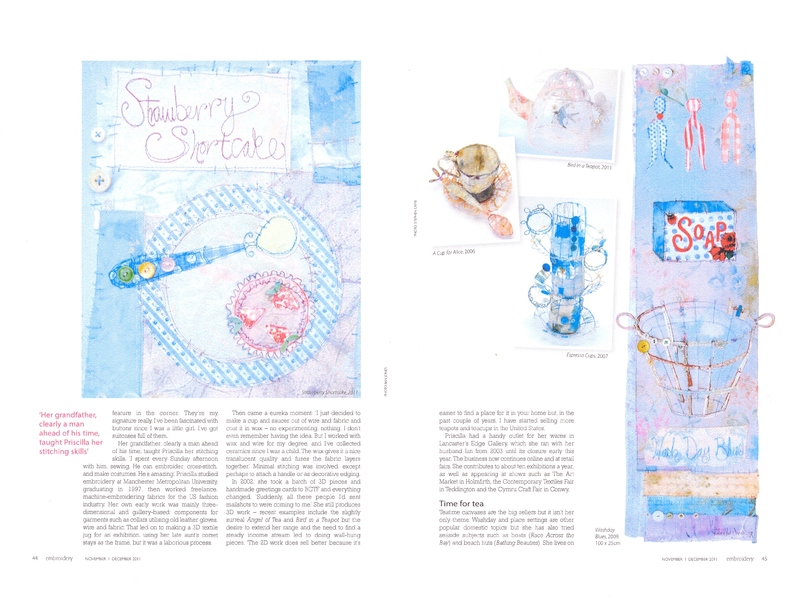 My fabulous new feature ‘Time for Tea’ has just been published – visit http://www.somersetapprentice.com to get your copy now!!! 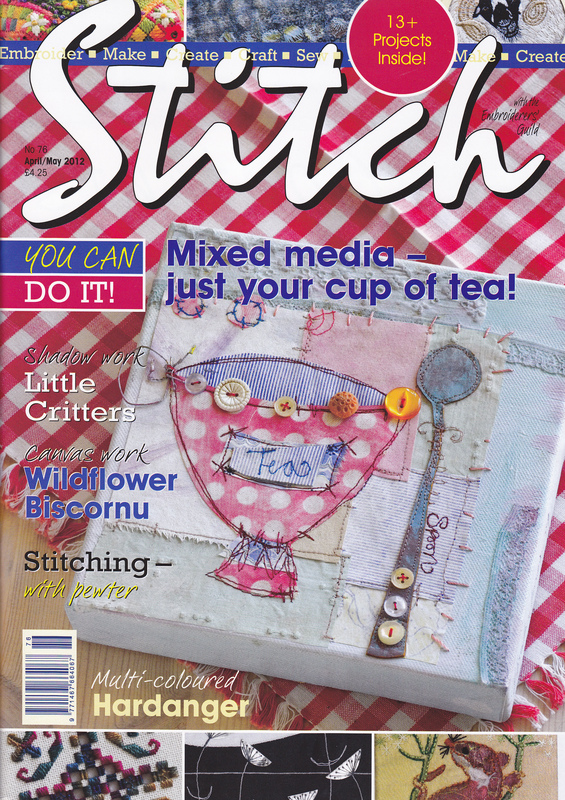 News…news…news… I’m so thrilled to be featuring in the summer issue of Sew Somerset Magazine!!! To get your copy visit http://www.stampington.com now!!! The feature shows you step by step how to make one of my cotton reel flowers! 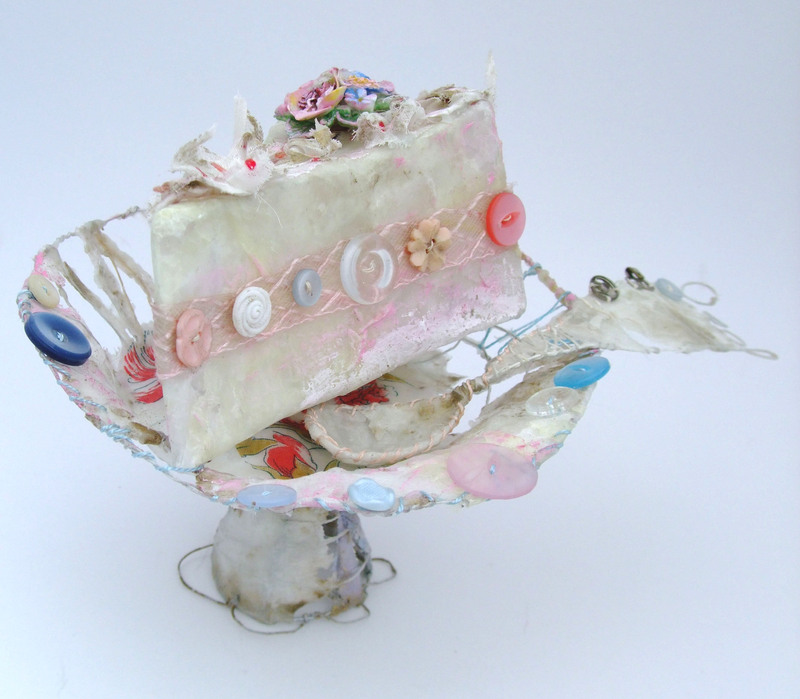 Explore the vast possibilities of working with wire and create your own 3D sculptures, inspired by any theme you wish. 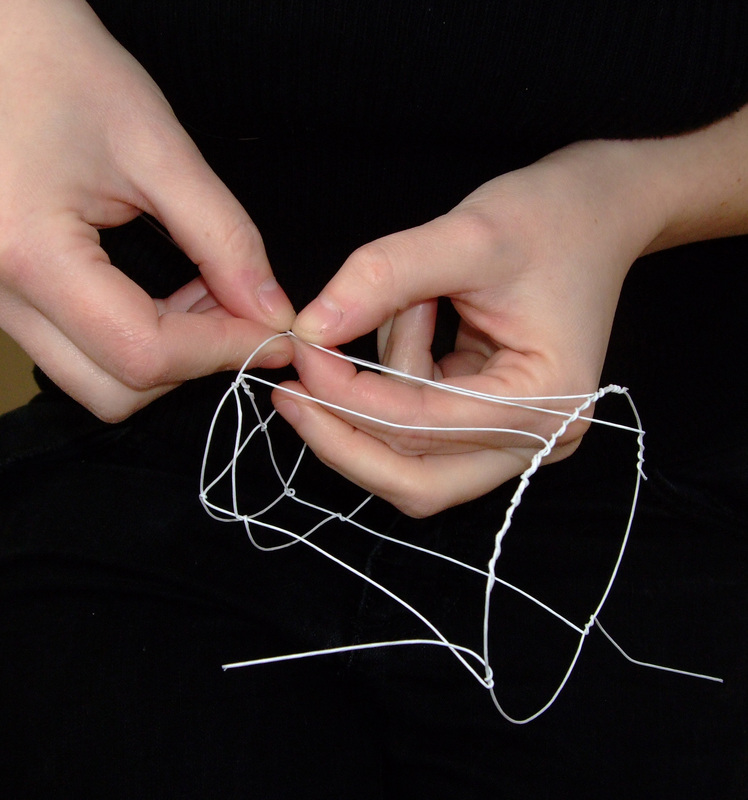 You will explore how to manipulate lightweight wire using your hands and pliers to make a range of examples. 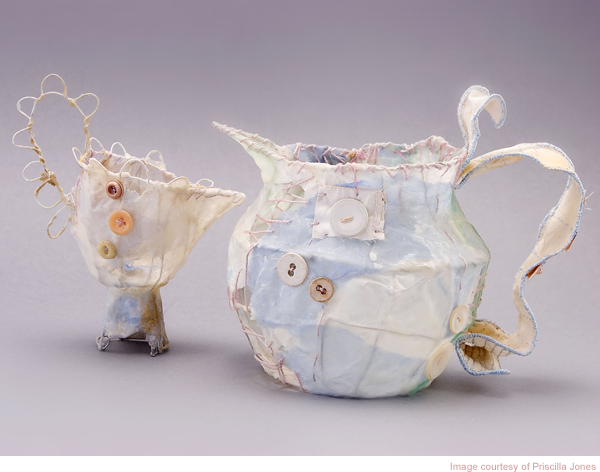 You will focus on developing your structures with other techniques and processes including fabric, paper, wax, and paint. No experience necessary; all you need to bring is enthusiasm! 1) What is your first memory of creating? Sewing with my Grandad, he is a very creative person and taught me many skills including, embroidery, canvas work and French knitting, we worked together on many craft projects when I was growing up. 2) Who has influenced you along the way? My great friend and mentor Sally Payne who is the most amazing artist and educator, Val Russell a much valued teaching colleague and friend and Michelle Holmes, another embroiderer who has been a huge inspiration to me. We love to meet and discuss the wealth of creativity in our textile practice. 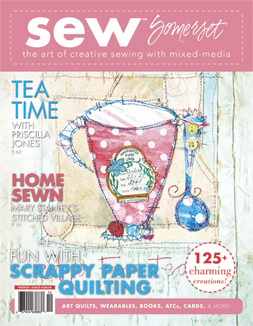 3) You have a gorgeous and unique style, as showcased on the cover of Sew Somerset’s latest edition. How did this develop? I started to use stitch as a drawing tool while studying at Manchester Metropolitan University. We were encouraged to break all the boundaries using stitch in our practice to develop and explore new applications for traditional techniques. 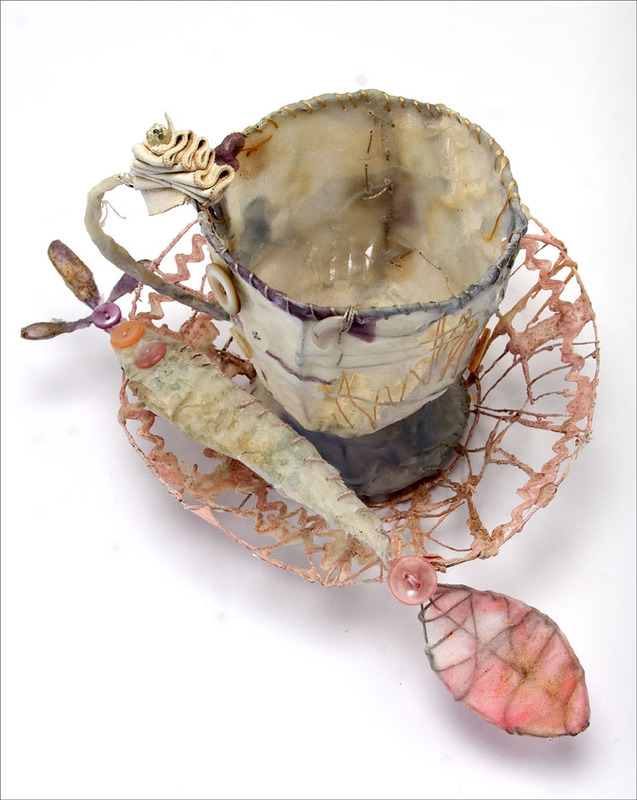 I started to explore the use of mixed media in my work too – including wax, wire and paint – and this developed into working in a three dimensional way too. My work has evolved organically over the years as I have become a more experienced practitioner. I now use all these skills and techniques to produce my current pieces. 4) You often use a dreamy pastel colour palette. What draws you to these colours? I think I am very influenced by where I live on the North West Cost of England, the subtle seaside hues that surround me are a constant inspiration. 5) What do you love best about your life as an artist? Having the freedom to make and create work every day. 6) You have many years’ experience teaching others. What is your teaching philosophy and how do you connect with your students? As a teacher I have always aimed to be intuitive to each individual’s needs and respond accordingly. Students always develop a personal language during the course of a workshop. We all have great potential to create even if we don’t engage in creative activities on a regular basis. Many people have come on my courses thinking they have no skills at all – and sometimes they have never even enrolled in a class before. 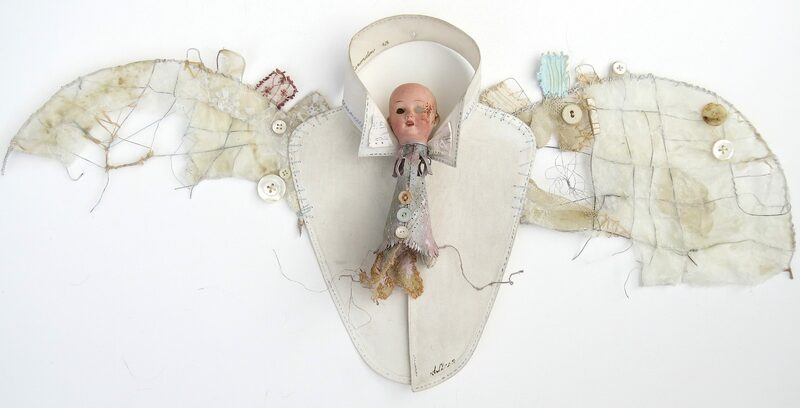 When they arrive and see examples of work they are going to make they often say “I can’t make one of those”, but sure enough, by the end of the workshop they leave with beautiful pieces of work they have made entirely by themselves. It is a very satisfying moment to see that, when they realise just what they are capable of. 7) Can you tell us a bit about your journey to becoming a gallery owner? The gallery is very much a joint partnership with my husband Ian. We decided to open it after his career changed. We wanted to create a space for exhibiting contemporary art that was accessible to everyone and to also create an environment that we could run workshops from, which would be inspiring for the participants. 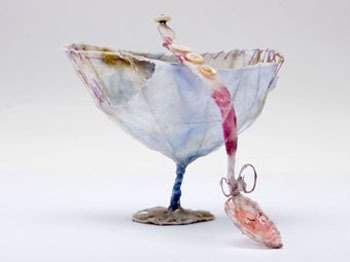 We have enjoyed the exhibitions enormously and the curation of the shows have been a very satisfying part of the process. We have faced many challenges, including both the downsizing and upsizing of our retail spaces, and have had to consider the impact of retail decline in recent years. We have learned many things but the most important is to be flexible in your approach and create an environment that will show artists’ work at is very best. We are constantly thinking of new ways to show the work. We are developing an online gallery and plan to organise more art events in the coming months. 8) What is your next big dream for your creative business? To find out more about Priscilla, visit her website, connect on Facebook or sign up for her class at the Do What You Love retreat!